The biggest shift in broadcasting rights in the history of the Australian television industry will see cricket move from Nine and Ten to Foxtel and Seven in a deal worth close to $1bn over six years. The announcement – which was made to the ASX just after 10am – follows weeks of negotiations between Cricket Australia and Australia’s broadcasters. In a statement to the ASX, Seven said a deal had been agreed but not yet signed. With Foxtel and Seven as the new home of cricket, Nine will no longer broadcast Test cricket home matches, while Ten will lose its rights to the short form Big Bash League. The deal completes a major reshaping of the sporting rights landscape after Nine snatched the tennis rights from Seven in a $300m deal. However, Nine still has the rights to the Australian team’s next Ashes tour in England. The $1bn, six-year deal sees Nine lose its right to Australia’s home international cricket, while Ten will lose its Big Bash League cricket. While details are expected to emerge shortly, it is understood that Foxtel will pick up the biggest part of the bill, while Seven will pay a little under $80m a year, with much of the content a simulcast between the two broadcasters. Mumbrella understands that the digital rights have been picked up by Foxtel. Along with rights to tennis shifting in the other direction from Seven to Nine, the moves mark the biggest shift in sports rights in the history of the Australian TV industry. While the cost to Seven West Media is more than the $60m per year Nine will pay for the tennis, Seven will be able to argue that the cricket will provide a full summer of sporting content, rather than the fortnight that the Australian Open provides. Seven will also seek to monetise the fact that it has rights to air all forms of game. However, Nine will not yet exit cricket coverage entirely. It already has the rights to Australia’s next trip to the UK for the Ashes. 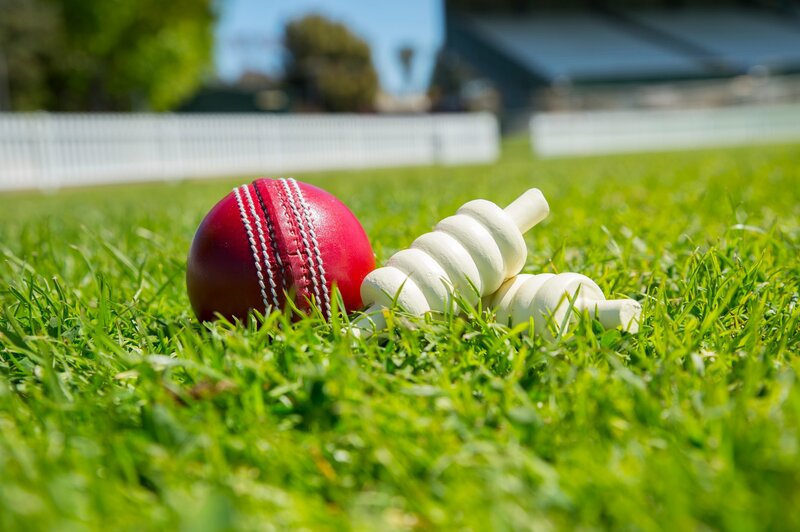 A Nine spokesperson told Mumbrella: “Nine is immensely proud of our decades long association between Wide World of Sports and the game of cricket in this country. We wish Cricket Australia and its new broadcast partners well for the future success of the game. “Cricket will continue to be a part of Nine’s schedule into the future with current deals in place covering the next Ashes series from England in 2019, the ODI World Cup in the UK in the same year and in 2020 the T20 World Cups to be held in Australia. “But most of all Nine is excited by our new partnership with Tennis Australia. A partnership that enables us to further evolve our business model into a new future. A partnership built on common values and vision to mutually build the game and Nine’s business as we connect with more audiences the way they choose. And Ten issued a statement from CEO Paul Anderson saying: We are disappointed that our bid for the cricket television rights was rejected. “Network Ten turned the Big Bash League into the television phenomenon it is today and one of the most popular sports in Australia, a sport that all Australians were able enjoy for free. We had planned to extend that innovation to other forms of the game. The initial reaction to the deal was positive from Seven shareholders, with the company’s share price rising 7% in the first few minutes of trading. Wow! Hopefully this means a refreshed production and no more of the stale, myopic 9 commentary team. Pity that 10 last BBL though, hopefully 7 will replicate the great job 10 did with it. Oh great. 7 taking over my favourite sport. Looking forward to Tom Williams commentating. This highlights everything that is wrong with sport in Australia. Greed for more money from the Governing bodies. TEN have made BBL what it is today, SEVEN with Tennis and NINE with Cricket. The sporting governing bodies show no loyalty to the networks who have built their inflated values or the viewers who have invested in their sporting brands over many many years. As part of the broadcast deals, each respective network should become a shareholder in the sport they broadcast so their investment is somewhat protected for the future value that they create. Great opportunity for Triple M continue a live broadcast for all games this summer (not just for the Ashes). I really don’t want to hear Bruce McAvaney calling the cricket. Oh dear…. they WILL roll him out wont they? Bring back The 12th Man I say…. What a disappointment! How about a report on how long we have to wait in a phone queue to try to get any service from Foxtel and now they have cricket! Just great! All the big moves happened this week. Nine won the tennis, Seven/Fox won the cricket and UM won the federal govt account. Ten and Dentsu X left to lick their wounds. Huge all round. Australia broadcasters and sporting rights: The perfect marriage of ego, greed and short-sightedness, all washed down over many long lunches. You can see the rationale for Foxtel, but it’s message is flawed by non-exclusive rights. For Seven it is unlikely that advertiser revenue will cover the bill. Halo effect of cricket? Didn’t work for 10. For Cricket Australia restricting part of their product to cable TV is very short-sighted in today’s environment. Ten? Will probably come out of it best of all. No major bill to foot and CBS programming on tap. It can build an advertiser offer not based on a sports audience. 9 should get an OAM for all their efforts. Cricket telecast didn’t even exist when the likes of David Hill first to it on.. and now it’s a global standard. An I credible contribution that had stood the test off time. Music t my ears!! I just HOPE there is no transfer of ANY of the Channel 9 cricket commentary team to 7.The self opinionated, boring and totally irritating gang of ex Australian cricketers have had their day and it is time to move on. I think they must be paid by the word as they NEVER stop talking during the overs. Obviously they took no notice of HOW TV cricket commentary should be conducted from the late great Richie Benaud. A total professional in every respect.